Enrolling in construction law electives as part of his JD studies, Rami found the subject to be particularly rich, spanning so many bodies of law – from contract and tort to envornment and planning law. 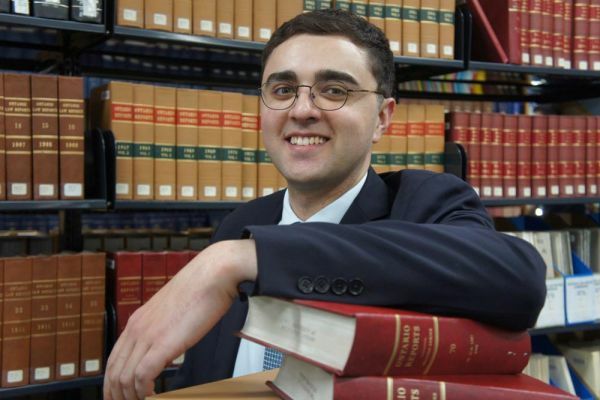 Now working as a Judge’s Associate in the Supreme Court of Victoria, Rami is successfully combining his career with further study in the Master of Construction Law. “I love being a student and learning from those who have a wealth of experience behind them,” he says. Given the variety of issues that arise in this area of the law, Rami believes that practitioners of construction law must have both high-level theoretical and practical experience. “The most distinguished practitioners and counsel who commonly appear before the Court consistently make invaluable contributions to academic discourse while also maintaining successful commercial relationships with their clients,” Rami says. As part of his associateship at the Supreme Court, Rami is able to put some of his learnings into practice. Looking forward, Rami would like to experience private practice at the end of his associateship. However, he is adamant that he will always maintain a presence in academic circles. In an era where firms stress the importance of understanding the everyday concerns of the client, Rami says the opposite is also true: that practitioners should also have an in-depth academic understanding of their discipline.